why are your tua naaw so white? i'm always curious about savory preservation/fermentation processes, but the tua naaw i'm familiar with are smashed up and packed into a banana leaf and grilled before being set aside to ferment. it looks like a medium-dark miso paste, but much smellier, with a great smoky taste. it is one of my food priorities when i move back to thailand in a few months. eaten with sticky rice, green chilies, and whole garlic cloves, while sitting on the village astrologer's porch. what could be better? 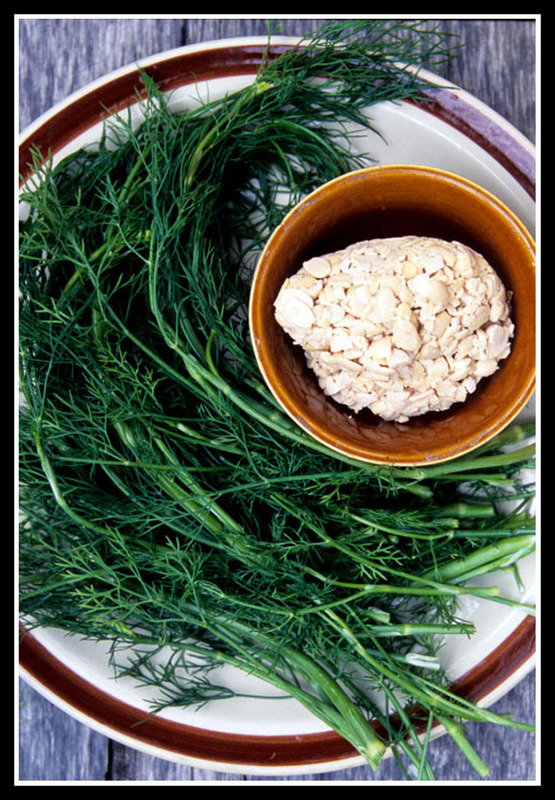 I hadn't realized that dill is also used in Lao (and/or other Southeast Asian) cooking. Truly informative. I also am kind of in love with dill right now. I will have to try this soon. what are the alternatives to kha and lime leaves in the States? Am from PA.